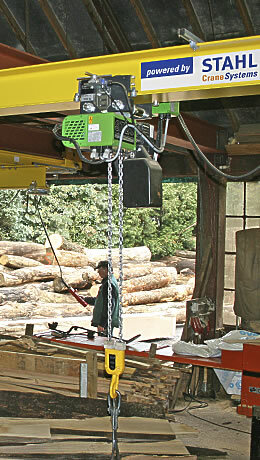 The ST chain hoist is available with reduced headrooms as “[Extra] short headroom trolley”. The SHK and SHK+ manual chain hoists and the SHK ex explosion-protected manual chain hoists are a useful addition for manual workstations, flexible use and areas without a power supply. They cover a wide spectrum of applications with an S.W.L. range from 250 kg to 20,000 kg.